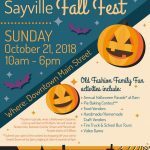 The annual Sayville Fall Fest is scheduled for Sunday, October 21st, held in downtown Sayville along Main Street. 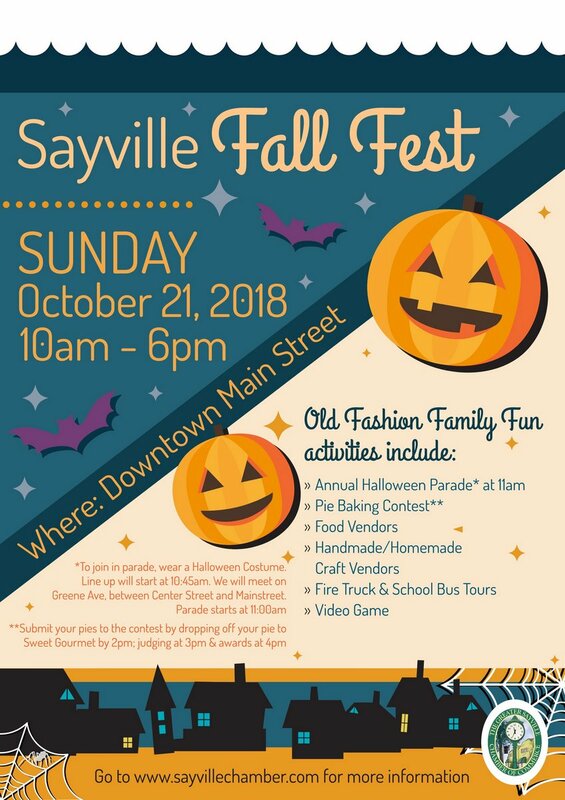 The festival will feature food trucks serving up a selection of great dishes, homemade and handmade craft vendors, fire truck and school bus tours, pie baking contest, and much more. The annual Halloween Costume Parade will kick off at 11am with lineup at 10:45am. To enter the parade, simply wear a costume and meet at the line up area on Greene Ave, between Center & Main St!